Packing antiques in bubble wrap provides a greater degree of protection against nicks and chips during the moving process. Any areas of ornamentation, all legs and armrests, and any other delicate pieces need the extra cushioning that bubble wrap supplies. Before wrapping furniture, treat all pieces with the appropriate solution. Wood can be wiped down with high quality polish, metal could receive a coat of oil or polish, and leather, or fabrics should be treated with the most suitable substance to maintain excellent quality. Take an inventory of all items to be moved into storage before the moving process begins, especially if hiring movers. Take another inventory as antiques are loaded into the storage unit. Photographs work well for this task. When preparing for the move to storage, consider the unit carefully. The less antiques are jostled, the better. For these prized possessions, especially for large pieces or for a large lot, a ground floor unit is ideal. Moving assistance is readily available. It should be performed by those who have specific experience in dealing with antiques. When your items are in storage, you want to feel confident that they are safe. 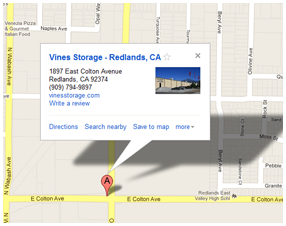 Our storage facility sits inside of 8-foot brick walls and has a secured entry and exit portal. There are also numerous video surveillance cameras throughout our property. Antiques require special care even when they are not on display. We can help you maintain the quality of your furniture through safekeeping. Contact us for details on our units.